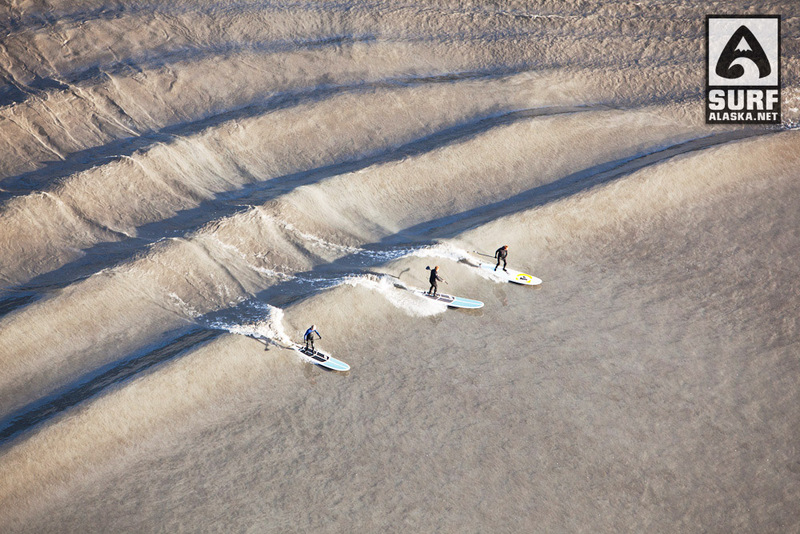 Finally we are back home from an intense and thrilling week of stand up paddle surfing the Turnagain Arm bore tides. Working on the computer I can hear the water running down the gutters and see the slush falling from the sky. There is a 12-15ft swell brewing up just on the other side of the mountains that I used to be able to see out my windows. Today the mountains are long lost in the clouds and there is little hope of chartering a bush plane for a ride to Petrof Glacier. Always hope for tomorrow. In the meantime, you can join me in a daydream inspired by more aerial surf photos. Once again, these photos were captured while I was flying a paramotor over the surf break. This was a bit of a storm surf session on Bishops Beach in Homer, Alaska. The rough water made for even more interesting patterns from overhead. Mike McCune is ripping it up on the red and white board in most of these shots. 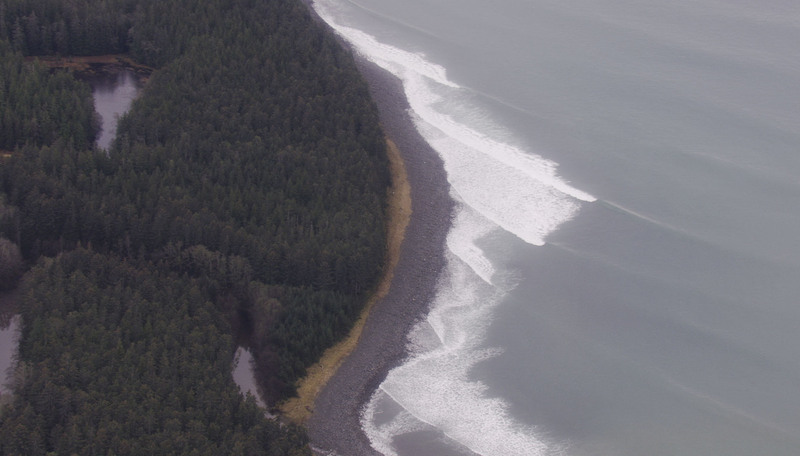 Aerial photo of Mike McCune surfing in Alaska. 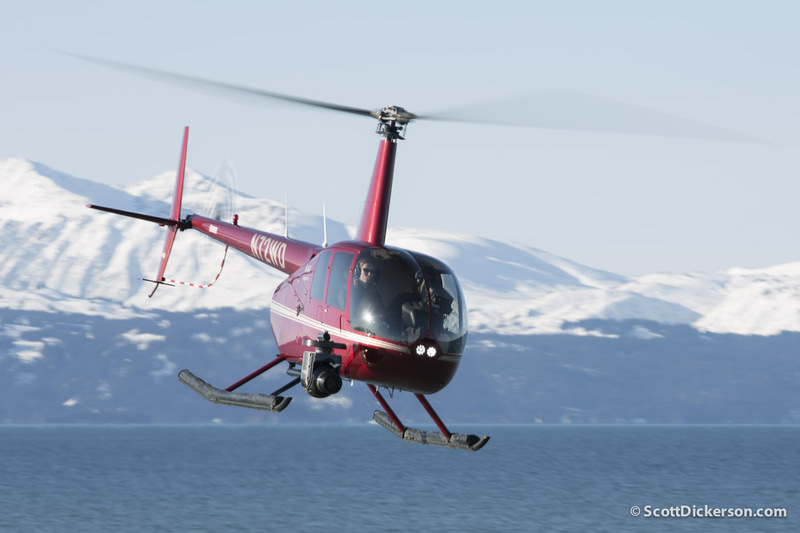 I’m excited to be reporting on my first successful aerial photo shoot of surfing in Alaska. I’ve been dreaming about this for a while. Like surfing at night by the light of the moon, there were a lot of things that came together for this – not the least of which was learning to fly and photograph from a paramotor. Instead of a monologue on the process that brought these images to you, let’s just look at the pictures for now.